Potatoes are probably my favorite vegetable. I grew up on the stuff. We ate them almost every night for dinner. I had already done a vegetable recipe in the Herbfarm Cookbook, the Braised Fennel Bulb. My plan was to do one recipe per category, but I just couldn't resist trying a couple of the potato recipes. There were 5 to choose from and I ended up doing two of them. There are also a couple of mashed potato recipes that I might have to go back and try, but am planning on going back to my original plan and choosing a recipe from a different category for next week. 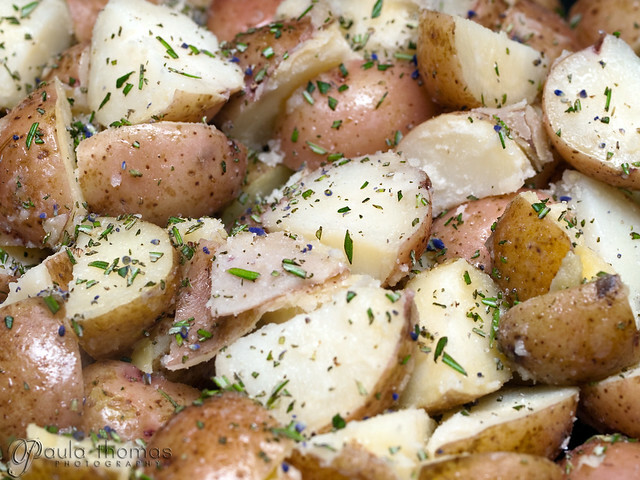 The first potato recipe I did was Potatoes with Lavender and Rosemary. I've got spanish and english lavender in my herb garden but have never used it for cooking so I really wanted to try this recipe. 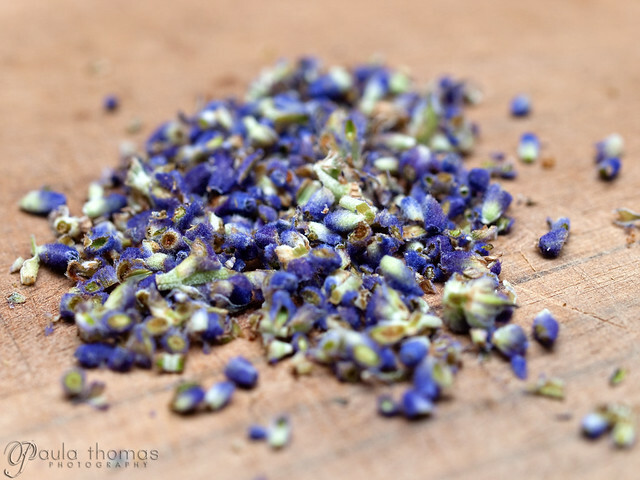 The recipe uses both the sprigs and the flower itself. I used quartered red potatoes and boiled them with the lavender sprigs. Unfortunately I cooked them a tad too long, they were slightly mushy and some of the peels were coming off the potato but it didn't turn out too bad. Fingerling potatoes seem to be more forgiving if you overcook them. 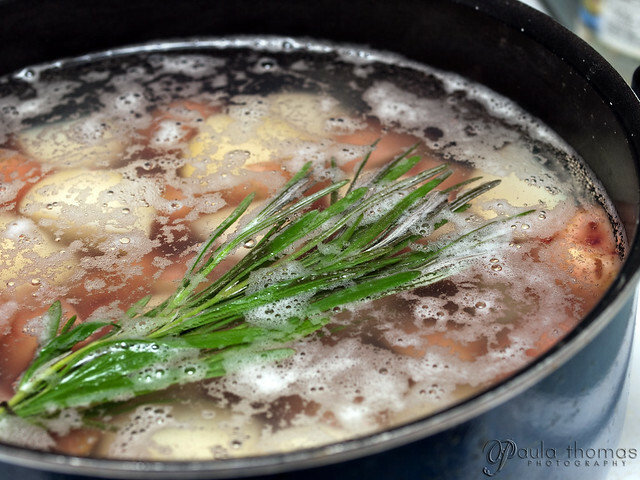 After parboiling, they were tossed with chopped lavender buds and rosemary. It made quite a bit and still had some left over. They were great for breakfast, just browned them in a few tablespoons of butter. 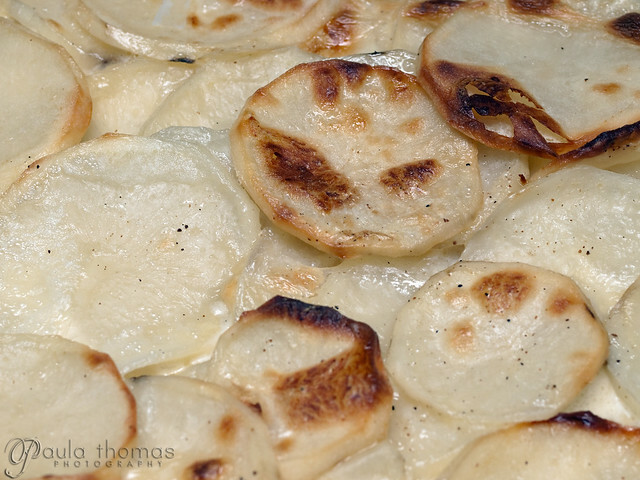 The second potato recipe was Potatoes in Herbed Cream which was basically scalloped potatoes. 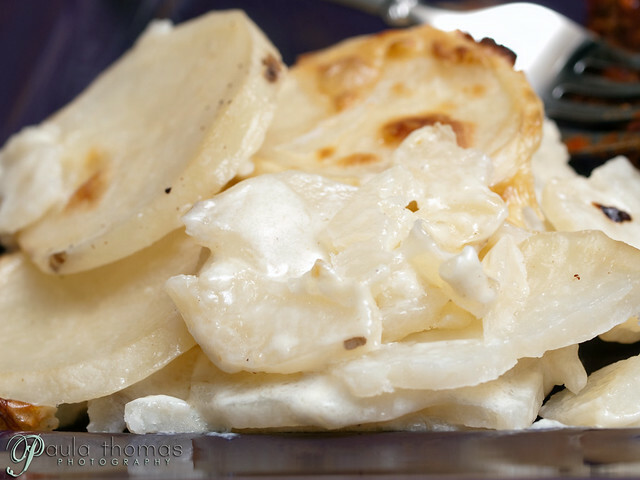 I think I've only tried making scalloped potatoes once before and they didn't really turn out that well. I think they ended up too dry. This recipe however turned out very well. 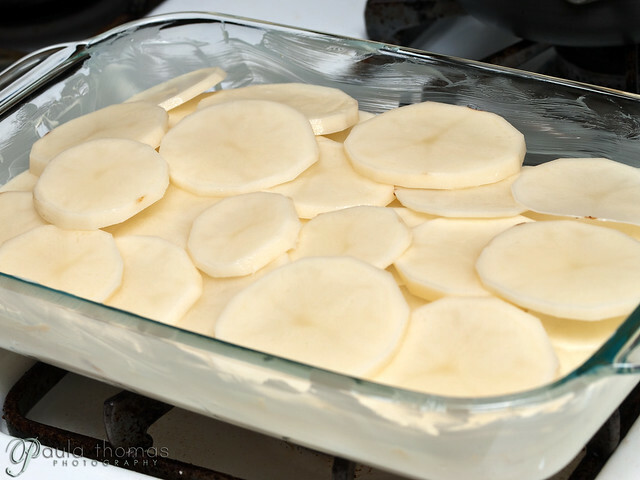 The top layer of potatoes was a little crispy but the couple layers under that were delicious and moist. 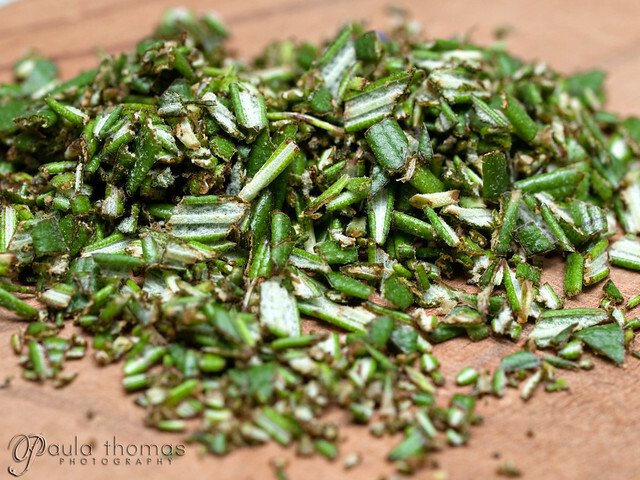 The recipe gave suggestions on herbs to use but left it pretty much up to the chef to determine which herbs they wanted to use. 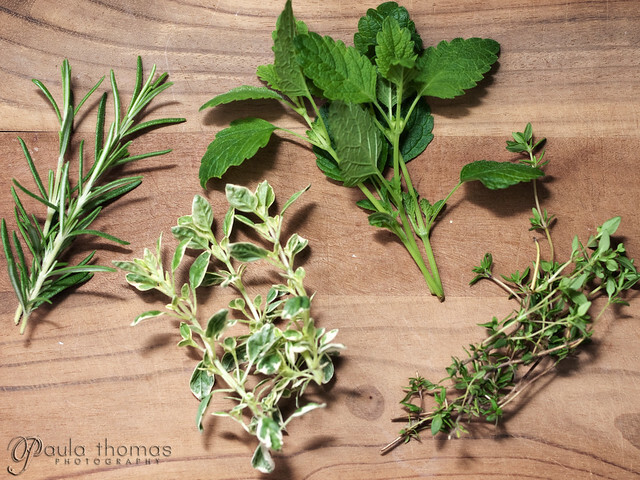 I used all herbs from my herb garden: rosemary, sage, thyme, and marjoram. The herbs didn't get chopped up and thrown into the potatoes but instead were steamed with the milk/cream prior to baking which gave a very subtle herb flavor. I think I would have preferred a bit more herb flavor and might try chopping up some herbs and adding those between the layers of potato next time I make this recipe which is very likely. these both look incredible, but i absolutely MUST make the first one soon! !